Sub Focus unleashed this classic almost six months ago, and now its back and better than ever. Included in this EP is a VIP of the song and three remixes which do the original justice. Released on Skrillex’s label OWSLA, this EP is a must for anyone who enjoyed the first release of the song. This is the classic which a lot of people know and love. What makes this track so amazing is how simple, yet layered it is. When you hit play you are a greeted with some relaxed synth sounds which do a good job of setting up the simple, yet beautiful, main melody. This is a melody that will be stuck in your head even when the song isn’t playing. I often catch myself humming this throughout the day. Kenzie May’s vocals are angelic and by the second verse you are singing along with her. The drop is heavy but it does not take away from the overall relaxed feel to this song. Even the drop is simplistic and beautiful. It’s not so heavy that your senses are overloaded like I feel with a lot of modern Dubstep. 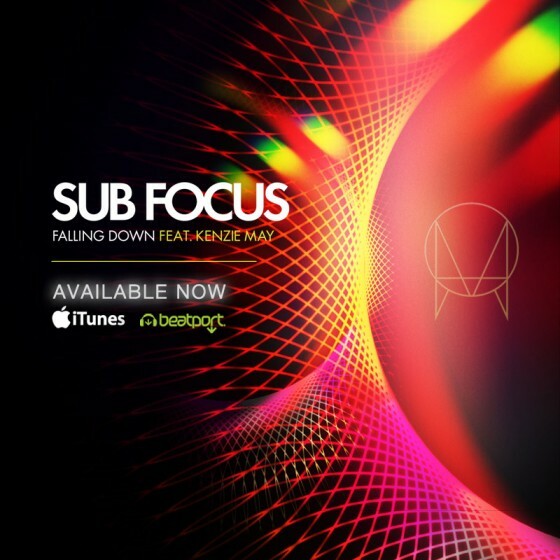 Sub Focus hits a hard-to-hit midtempo spot that is relaxed and heavy. If you thought the original wasn’t hard enough then the VIP version will fill that need. Sub Focus does a great job making this VIP feel like a whole different experience on its own. While the original was simple this veriosn seems a lot more complex. The vocals are spread across the entire song, not just before the build up. The drop hits harder and even the kick drum sounds heavier. I don’t enjoy this version as much as the original but it still is a great remix. The original made me feel like relaxing while this version makes me wish I was at a club. xKore’s remix is my favorite on the EP. He turns this 140 BPM dubstep banger into a 88 BPM glitched out Drum n Bass song. The opening features Kenzie’s vocals chopped up and spread across an array of sounds that slowly builds up. Instead of an instant drop it transitions to the original build up. The vocals are untouched here but the synths in the background this time are different. They still feel like they could be from the original. xKore has made another hit out of an already wonderful song. Nick Thayer’s remix is a Moobahton song that is good, but not great. While I enjoy it, and especially Nick as a producer, at certain points the melody sounds awkward at 108bpm, as do Kenzie’s vocals. This EP does the original justice. The VIP and two remixes provide a different experience every time. I suggest picking this up!